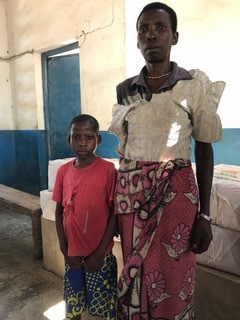 Marian Majimbo and her mother are both HIV+. They live in Mwali village with her sister. Her father died of HIV/AIDS, and her mother has been HIV+ for 16 years. Marian is 11 years old. Marian’s mother makes charcoal for a living and as a result suffers greatly from upper respiratory illness. The family is poor and malnourished .